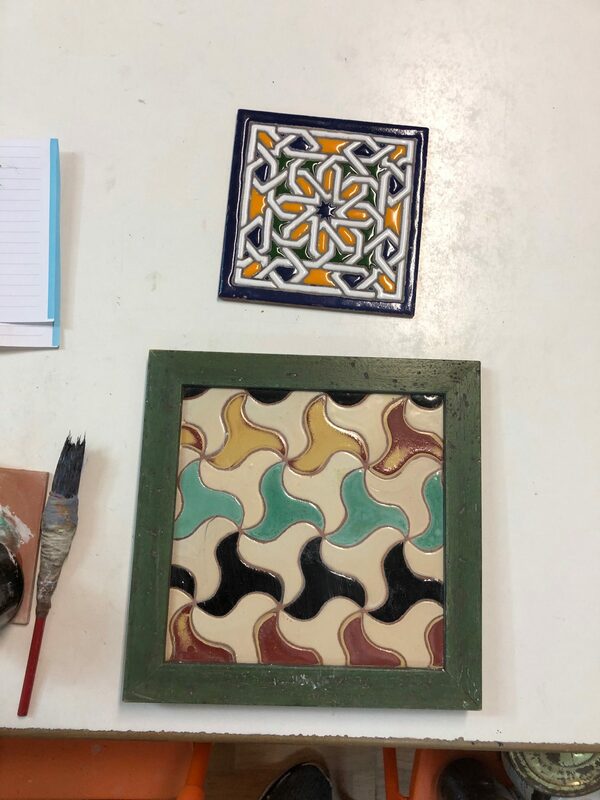 We welcome one of our own, high school senior, Abe Lineaweaver, who has just returned from a year in Seville, Spain, to share with students how to make the colorful, geometrically patterned tiles traditional to Spain. Children will learn a little about Abe’s experiences abroad, and look at examples of traditional tiles. They will then look at pattern books, sketch on their tiles, and paint the patterns using the Cuerda Seca, literally “dry rope”, technique to create stained glass like effects. Students will create a variety of projects over the week.